One of my favorites Very smooth, great taste. The vanilla shines through. No after taste. I highly recommend you try it. Awesome Just got a bottle in the grand caymans while on vacation. This now replaces cruzan single barrel as my favorite rum. Super smooth. Good flavored rum All the Tortuga flavored rums are great. I have Banana, Mango, Vanilla and Pineapple all at my house right now. If you like flavored rums get it. All the Tortuga flavored rums are great. I have Banana, Mango, Vanilla and Pineapple all at my house right now. Another 8 still looking for my ten Really good, nice color, wonderful aroma and rich taste. Definitely worth having a bottle. My Favorite This is my favorite. The price is very reasonable for a rum this good. A must try. Its worth a Try Nice color, Great taste, smooth no strong after taste. Only negative is the aroma. Price is not bad, got a bottle for $25. Definitley worth a try. For $24, I like it. Not great, but only $24 at Total Wines. A like bit of a strong after taste but pretty good. I will buy it again. Good for the price The best Bacardi has to offer for a sipping rum. I had it on a cruise ship and I liked it enough to buy some at home. Cranberry rum You definitely taste the cranberry. Nice flavored rum because it is not too sweet like most flavored rums. It's worth a try. Finally Tried It and was Pleasantly Suprised Nice aroma and good legs. The color was not as dark as I was expecting. A great sipping rum with a great finish. Nice US Rum One of the best US rums I have had. That being said, like all the US rums I have tried, Its not as good as the Caribbean rums and its more expensive. One of the best for the price Nice color and wonderful aroma. Taste is good but the aftertaste is a little bitter. I got a bottle for under $20. Good not great Was in belize so i got a bottle. One of the better 5 year old rums, but I next time I will spend a little more and get a 12 year rum. 7 for taste but 9 for overall value Very good tasting rum. Not to sweet and nice color and aroma. At only 16 dollars a bottle this is a must try. Nice Rum Fairly smooth, nice color and aroma. A little pricey but you should try it a least once. Good for a dark rum I don't normally like the dark rums straight but this one is pretty good. Its best with just a dash of coke. Captain Morgan This one is the only captain morgans rum worth buying. Honey rum from the carnary islands If you like sweet rums this one is good. My wife loves it. Now we drink rum together every night. awesome flavored rum This is a very good tasting sweet rum. It is only 40 proof some will not consider it a rum. My family loves it. Good but just not as Good as other Bajan Rums I like it but Mount Gay and Foursquare make better sipping rums. Although 896 is price right. Worth having. Good not great Just ok. It's smooth but just not as flavorful as other rums I that price range. 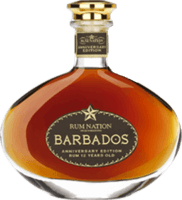 I think I will stick with the Barbados and Jamaican rums. 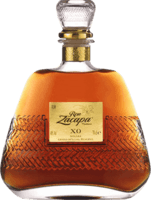 You can taste the chocolate Another flavored rum just like cruzan. Too sweet for me. If you like chocolate, good news. The chocolate comes through more than the coconut. Good Good spiced rum. Nice aroma and color. Strong vanilla and nutmeg taste. No after burn. Definitely recommend you drink it straight, no ice. Not bad for a spiced rum Not as good as the kracken, but way better than any other spiced rum. I would buy it again. Another so so flavored rum I had to try this one because I am a kenny chesney fan, but the rum is just ok. Actually it's not as good as the Cruzan banana. Sorry kenny. OK for a cheap rum Not bad for the price,. My dad paid $15 for a bottle in belize. Light in color, not much aroma and a bit of an after taste. OK for mixing. old monk Not in the same league as the Caribbean rums. Best straight up or with a little ice. Worth the a try. Disappointing This one good, but compared to the other 12 year old rums, its just not there. Glad I tried it, but I won't buy it again. mango lover All the Cruzan flavored rums are good but mango is my favorite. whalers A good rum for mixed drinks and fairly priced. It's worth it just to have a cool looking bottle on your self. Banana I think I have tried all the cruzan flavored rums and this one is my second favorite. Only mango is better. A good dark rum I was sure about this one but I was in Hawiai so I tried a bottle. I was pleasantly suprised. Good for an low priced rum One of the better cheap rums. Wouldn't buy this one again but it is good enough to make me want to try one of the higher end Mount Gay rums. Good mixer Good cause its only $15. And actually you get a bottle free if buy a few bottles of the other Tortuga rums at the port shop. Just not right for me. Santa Teresa gets good ratings so I tried. 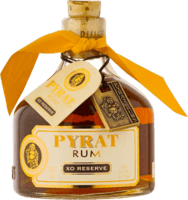 Its good, but for $35, there are much better rums. Not buying this one again unless I get for $20. Its a cream liqueur not a rum Can't really compare this to rums because its not a rum, but it does make a awesome coffee creamer. Bacardi The best cheap rum for mixed drinks. This is the rum for a rum and coke. Pineapple rum I love pineapple but pineapple rum just doesnt quite do it for me. I would rather have the mango or banana cruzan. Whalers Banana ok but the cruzan banana is better. Its best on ice or with just a splash of coke. My first cachaca I guess I am spoiled with my aged sipping rums. This is not good. I will try to drink it with coke since I bought it, but I will not buy again. Yuk, I dont like spiced rums I am not a fan of spiced or coconut rums but this what a friend had at his party. Next time I will pass on this one. Captain Morgan If you love rum drinks and have no money then buy a bottle. flavored bacardi The flavored Bayard I rums aren't worth it. Just use regular Baca rid for your mixed drinks. Money saver If you like mixed rum drinks and have no money then here you go. But if you really like good rum, leaves this one alone. 151 I prefer my rum straight or on the rocks so this one is to strong for me. I guess this would be a good rum for getting hammered.